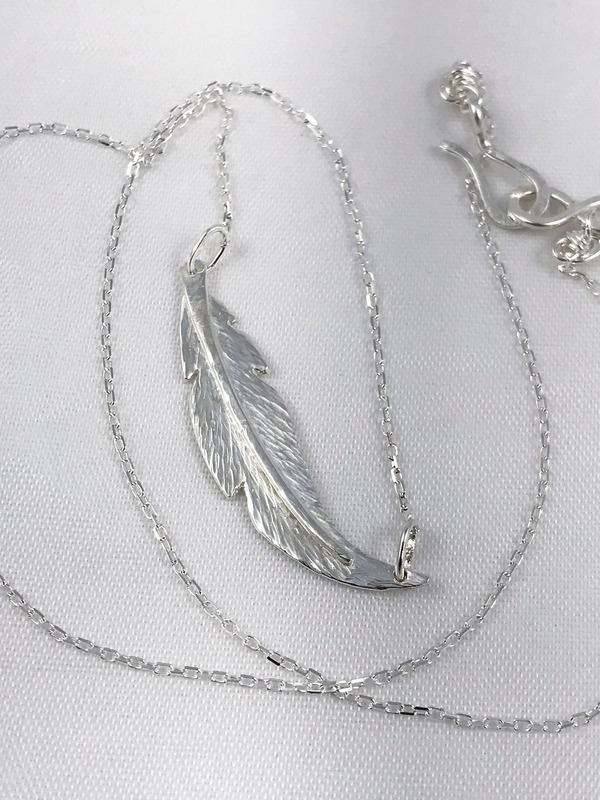 This necklace is made to order with your choice of chain length, the one shown in the photos is sold. 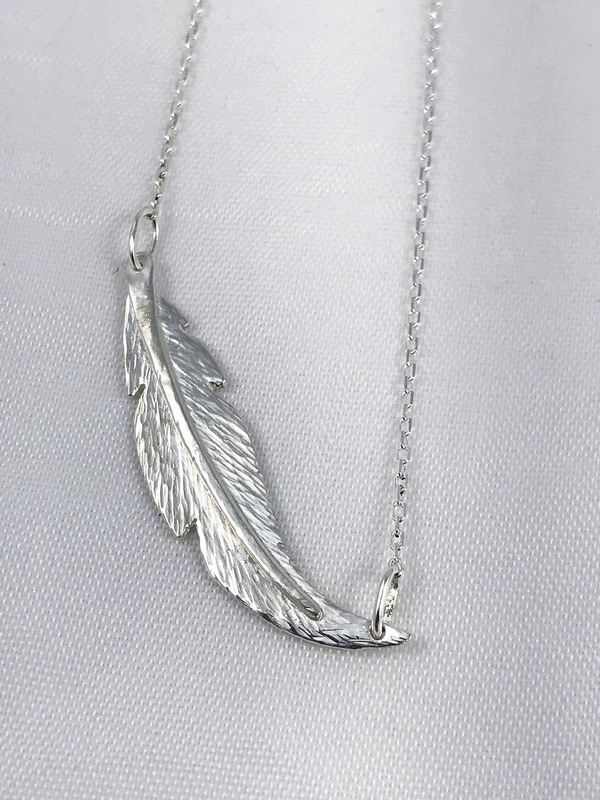 Your feather will be uniquely hand forged for you with it's own nuances while remaining true to the design shown. 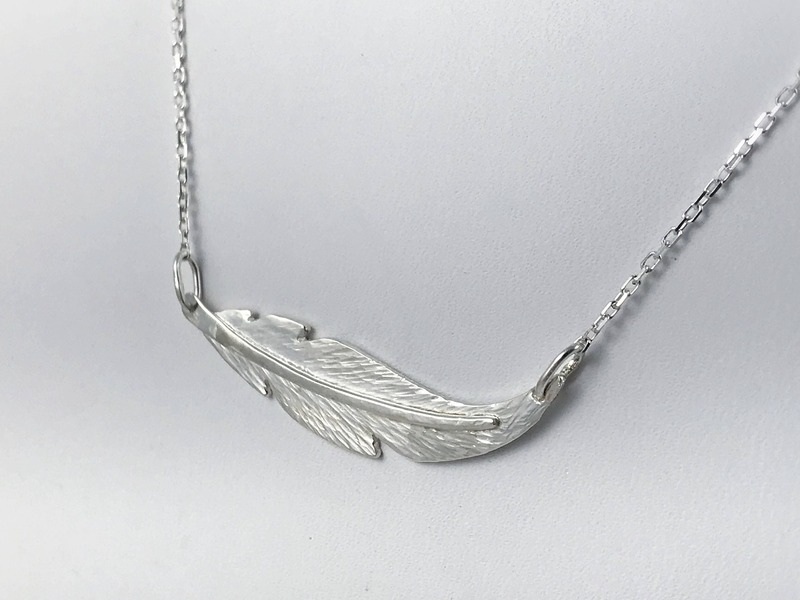 -Unique sterling silver sideways oriented curved feather necklace on sterling silver diamond cut chain. 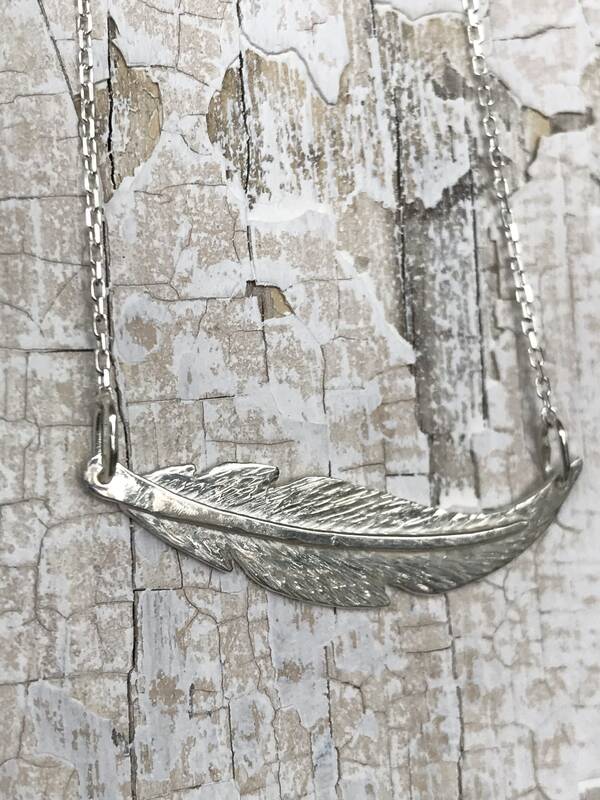 -Feather stem is hand formed of solid sterling silver 18 gauge wire and soldered securely into the design. 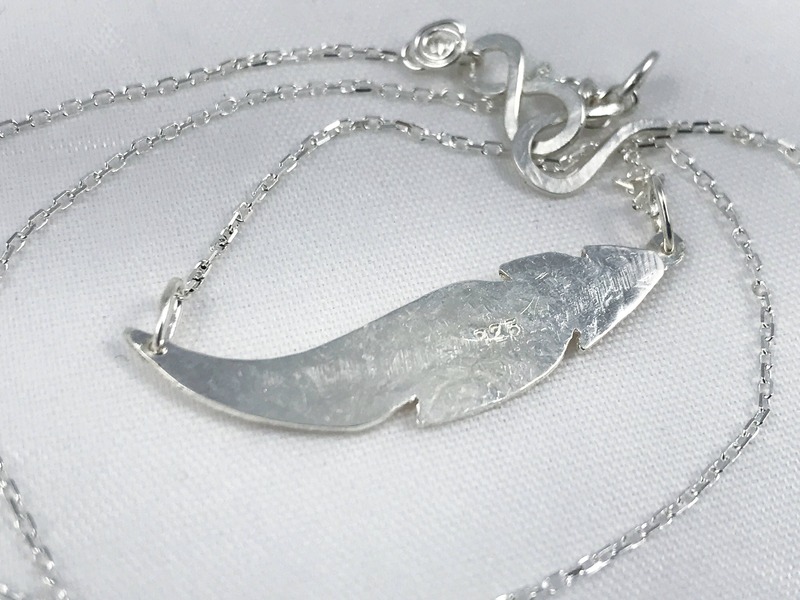 -Pendant measures 34mm (just under 1 3/8") in width from one end to the other (not including the jump rings that attach it to the chain), and 8mm (5/16") height from top to bottom at it's largest part (please expect very slight variations as these are entirely hand forged). 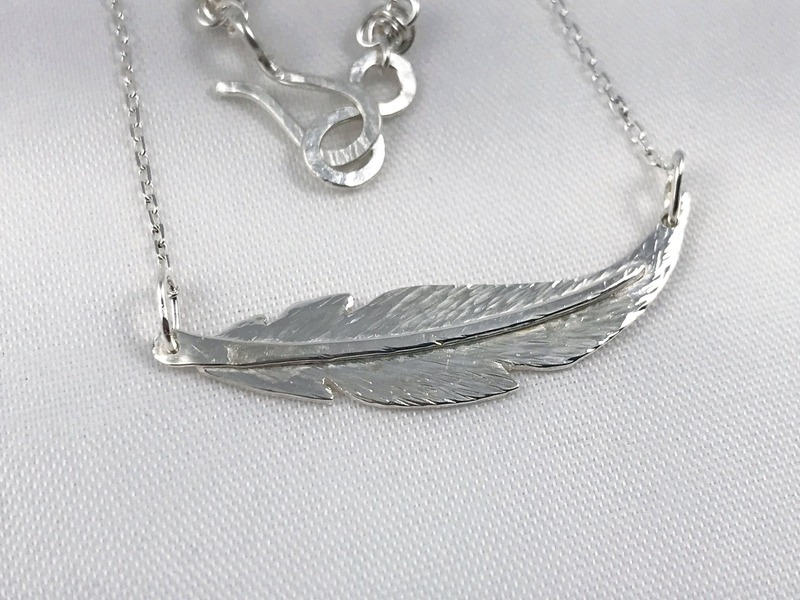 -Feather is attached to chain by sterling jump rings which are soldered closed to ensure the integrity of the necklace. 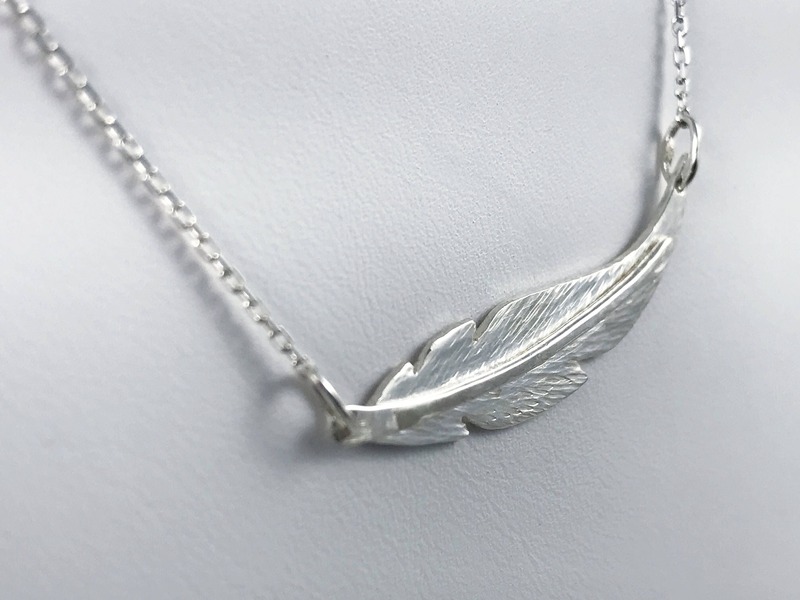 -Chain is solid sterling silver 1mm diamond cut cable chain. 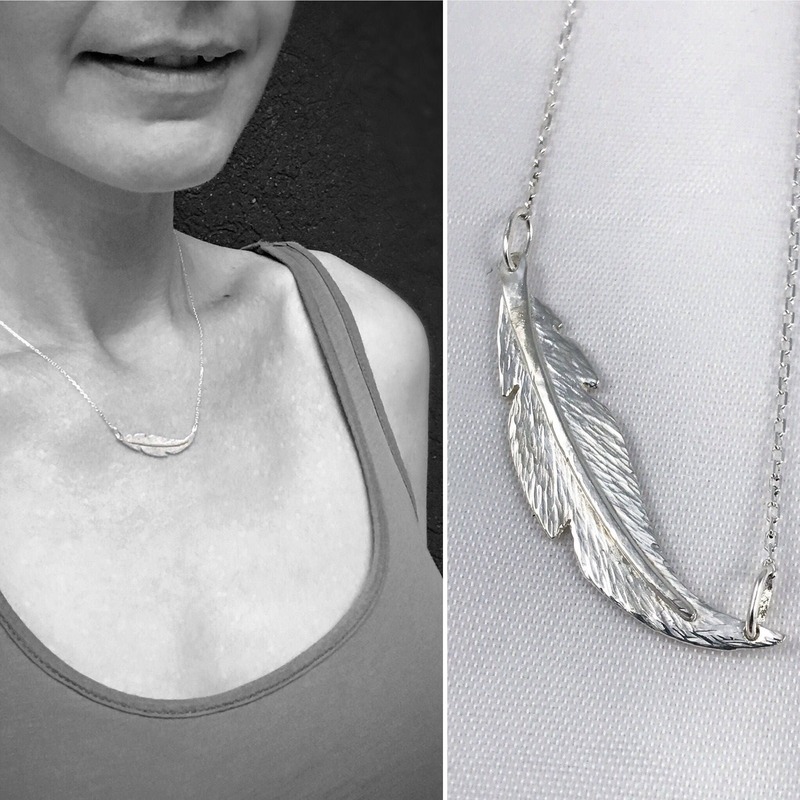 It sparkles and moves like a dream. 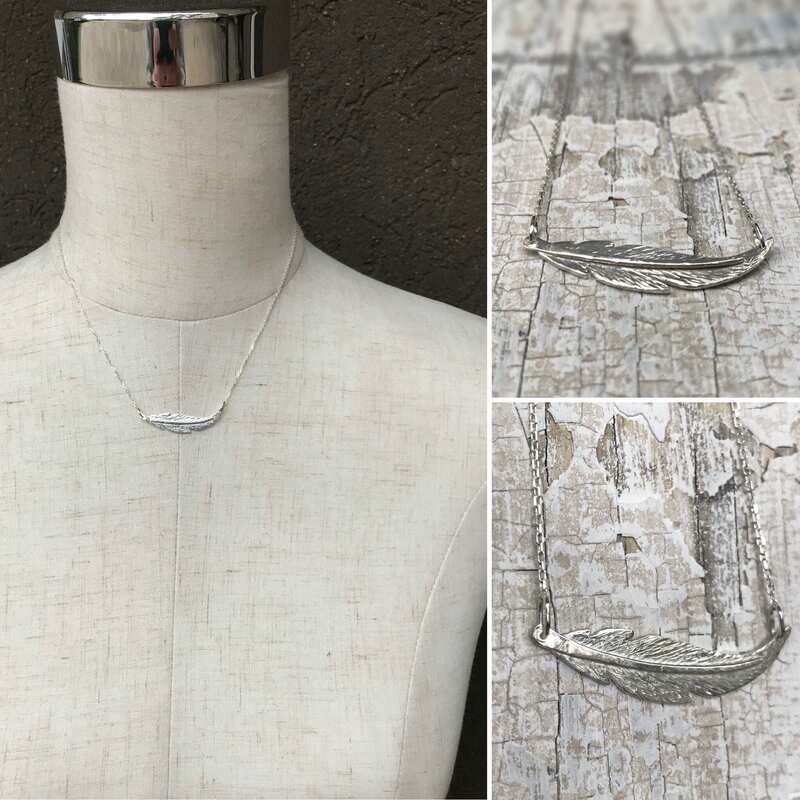 -Choose your desired chain length from the drop down menu. 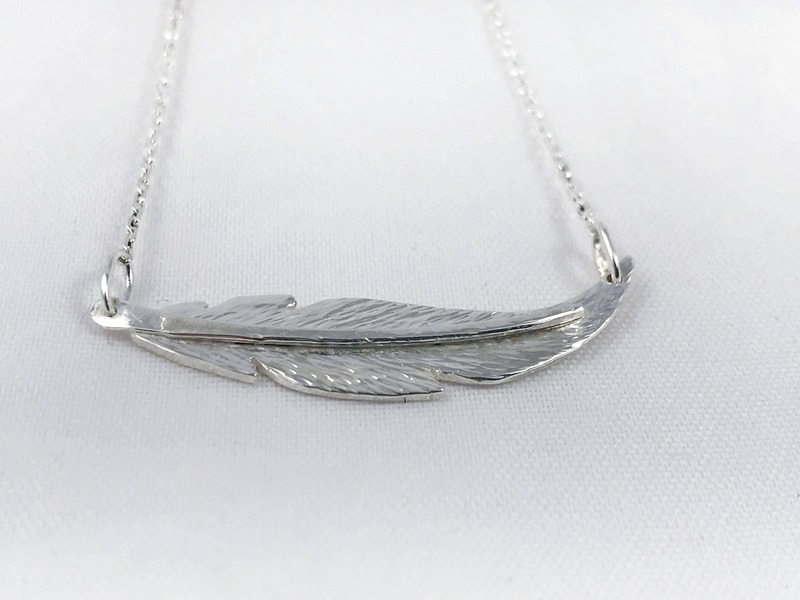 (Necklace in photos is 17" length).